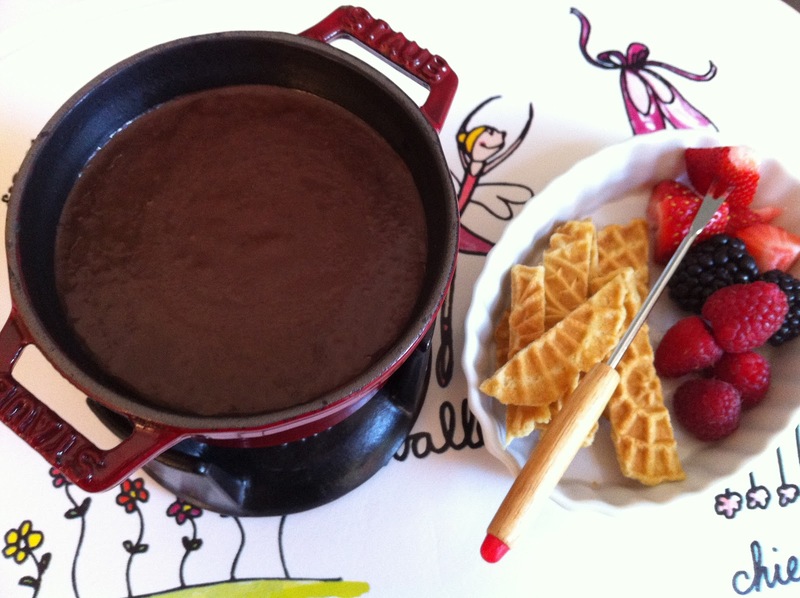 chocolate fondue | what is clara eating today? In a small sauce pan, heat cream, butter, and vanilla flavor. Remove from heat and add Truvia and chocolate pieces. Stir until chocolate pieces have melted completely. Posted in desserts, nut-free, snacks, something fun!